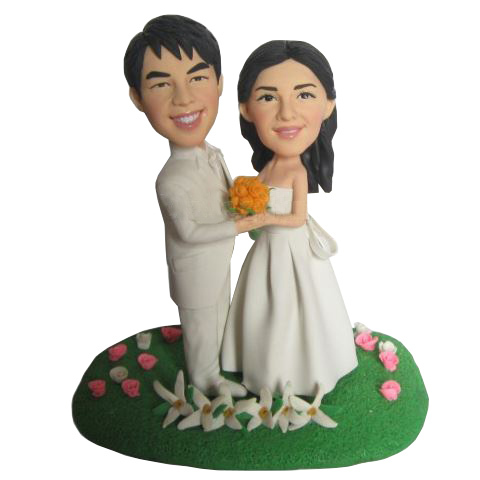 With the bride's hand around the groom's arm, this custom wedding couple bobblehead doll depicts the happy couple in all white.Select this sample bobble head body and allow us to hand sculpt the head to resemble the photograph that you provide to us. 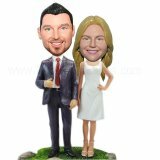 My Bobbleheads came out amazing! The seller was great to work with and her communication was on point. They had no problem making any changes I needed. Overall it was a great experience! 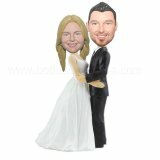 We are absolutely in love with our cake topper. 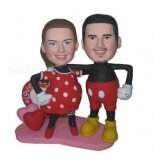 Both figures look just like us. The seller were excellent communicators. She would email me proofs during each step of the design process. We had to get our order expedited and our figure arrived in time. We will definitely use her again!